A child in Africa with a mobile phone has access to more information than the president of the United States did 15 years ago. The smart phone in your pocket is a billion times more powerful per dollar than the computer all the students and professors shared at Massachusetts Institute of Technology in 1965. As author, futurist, and inventor Ray Kurzweil — who also happens to be my father — shared in his talk, innovators and entrepreneurs should internalize this exponential rate of progression before launching their projects. By doing so, we put ourselves in a position to accurately time our projects, and best take advantage of tomorrow’s capabilities as soon as they are available. Ray Kurzweil shared insights into what the current rate of technological progress portends for information technology and health care. 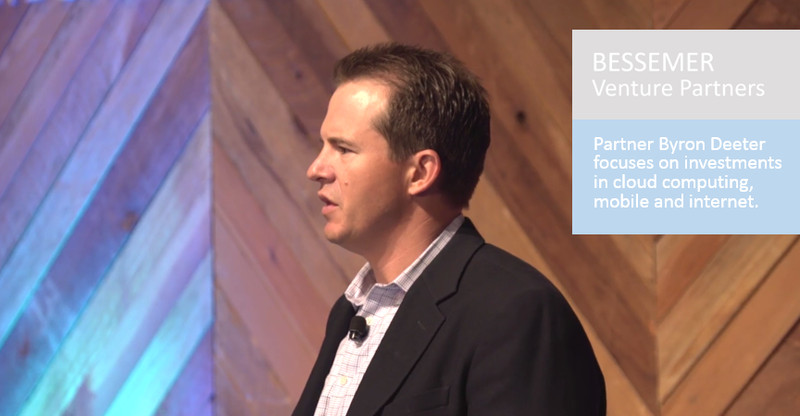 Check out his full talk here. 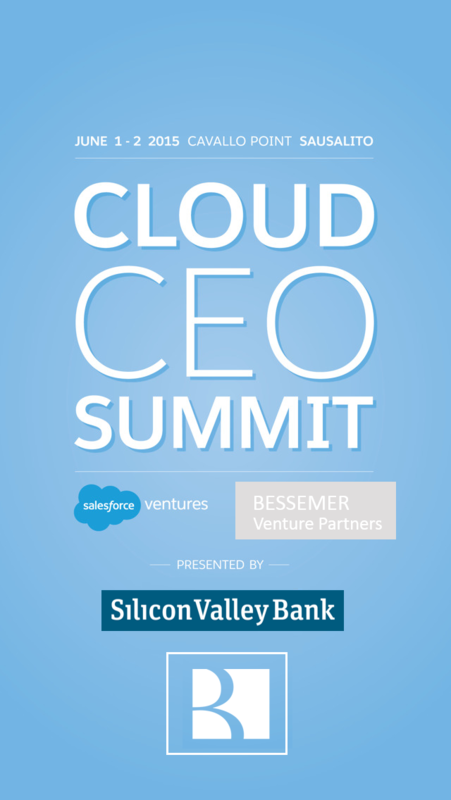 Cloud CEO Summit gathered 100 of the top cloud CEOs who are defining the future of cloud computing — hosted by Bessemer Venture Partners and Salesforce Ventures. 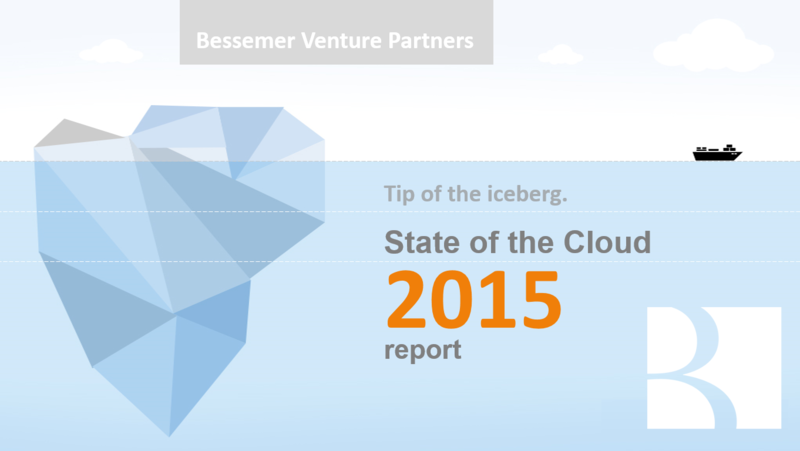 Bessemer Venture Partners presented its State of the Cloud Report. We are pleased to make this year’s 2015 version public. This report provides an in depth look into the state of the cloud, industry trends, future predictions, and key metrics that cloud start-ups can use to benchmark trajectories. The State of the Cloud Report draws on our experiences as early cloud evangelists, operators, and investors in the space. 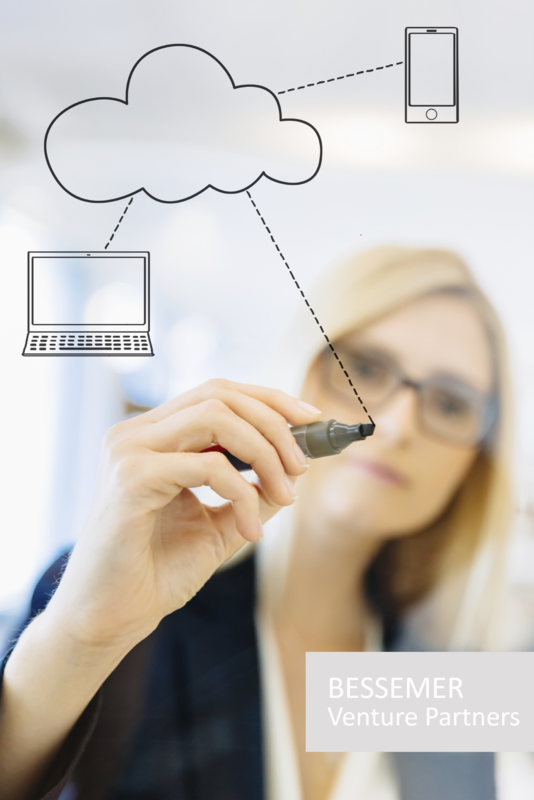 Through the years we have collectively met with thousands of private and public cloud companies, invested in almost 100 of them directly, and developed extensive custom data sources and assets. This is only the beginning. 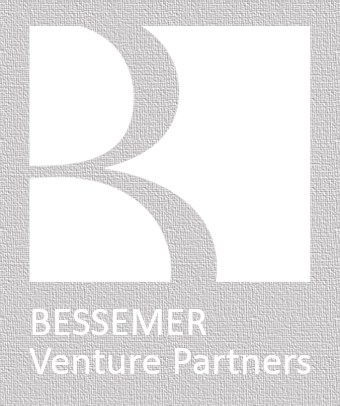 We remain bullish on the cloud and predict the Bessemer Venture Partners Cloud Index — tracking top public companies — will triple in the next 5 years, reaching $500 billion of total market cap by 2020. Key findings from the report. Ray Kurzweil is one of the world’s leading inventors, thinkers and futurists, with a 30 year track record of accurate predictions. Called a restless genius by The Wall Street Journal and the ultimate thinking machine by Forbes magazine, Kurzweil was selected as one of the top entrepreneurs by Inc. magazine, which described him as the rightful heir to Thomas Edison. PBS selected him as one of 16 revolutionaries who made America. Kurzweil received the 2015 Technical Grammy Award for outstanding achievements in the field of music technology. He is recipient of the National Medal of Technology, was inducted into the National Inventors Hall of Fame, holds honors from 3 United States presidents. He authored New York Times best sellers The Singularity Is Near and How to Create a Mind. He is a Director of Engineering at Google heading up a team developing machine intelligence and natural language understanding.